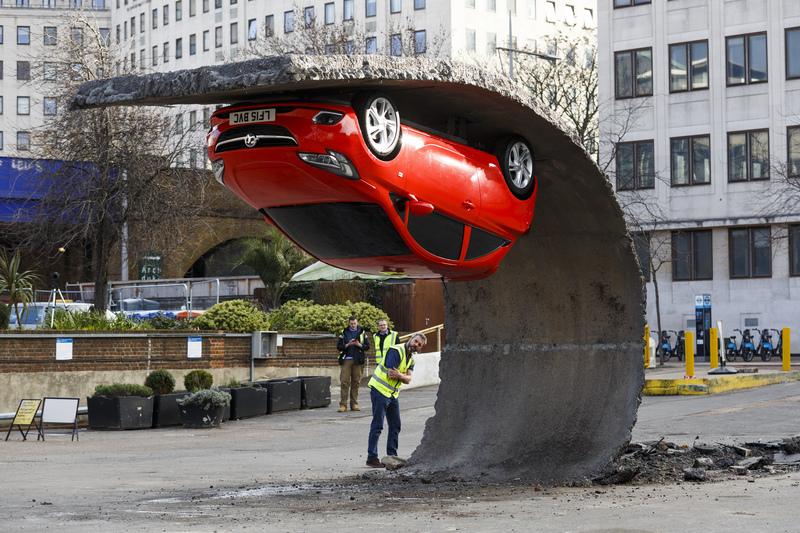 British artist Alex Chinneck has revealed his latest illusory artwork in collaboration with Vauxhall Motors. Following 2014’s ‘floating building’ in Covent Garden,‘Pick yourself up and pull yourself together’ features a new Vauxhall Corsa suspended 15ft in the air at London’s Southbank Centre. 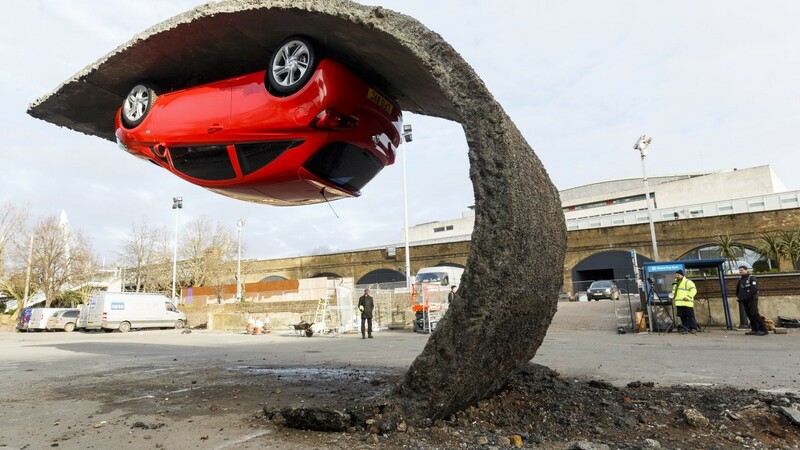 The collaboration with Vauxhall Motors turns a parking space on its head, peeling back 15 metres of arching tarmac to turn a one tonne car upside-down as the vehicle grips the curling road with no visible support. Vauxhall Motors commissioned Mr Chinneck to create a piece inspired by the new Corsa, which was launched earlier this year with a campaign based on an A-Z of British motoring. 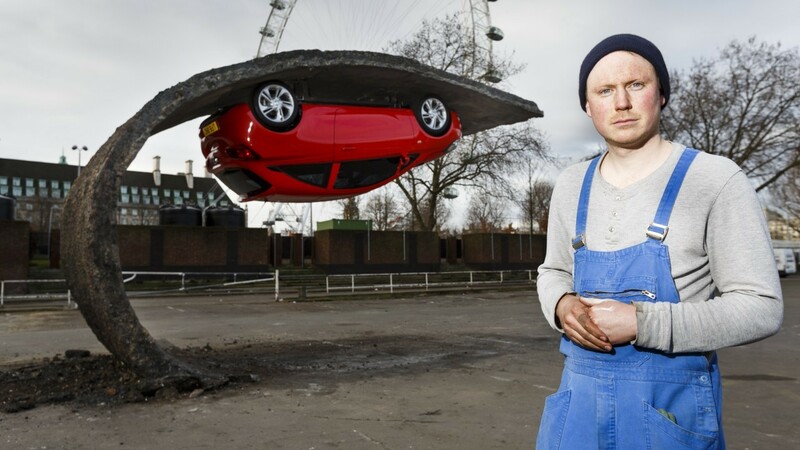 The gravity defying feat can be found in Southbank Centre Car Park, beside The London Eye, until Wednesday, February 25.